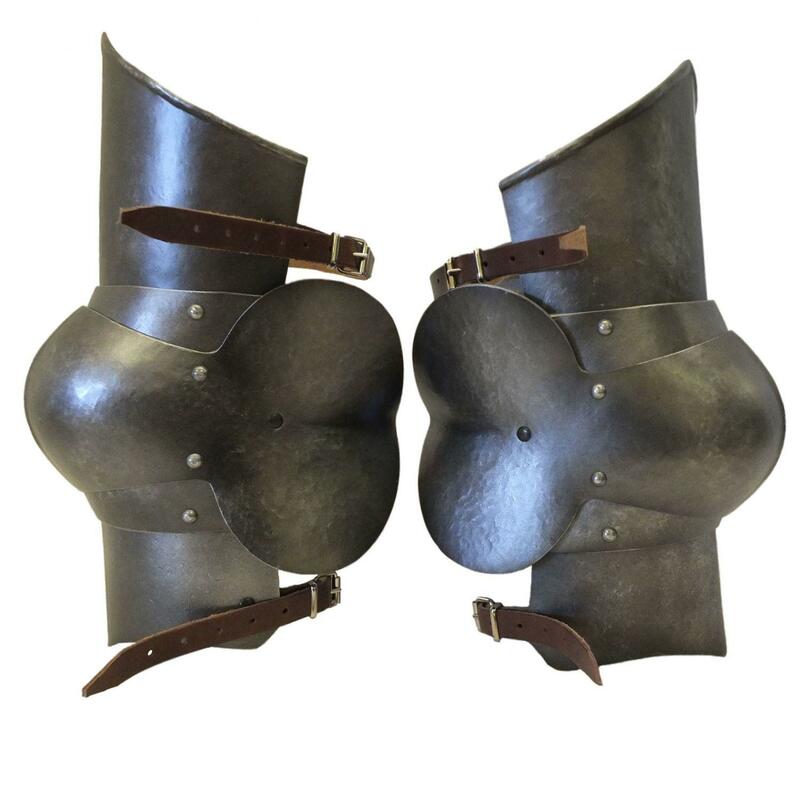 Set of polyurethane (PU) knee armour. 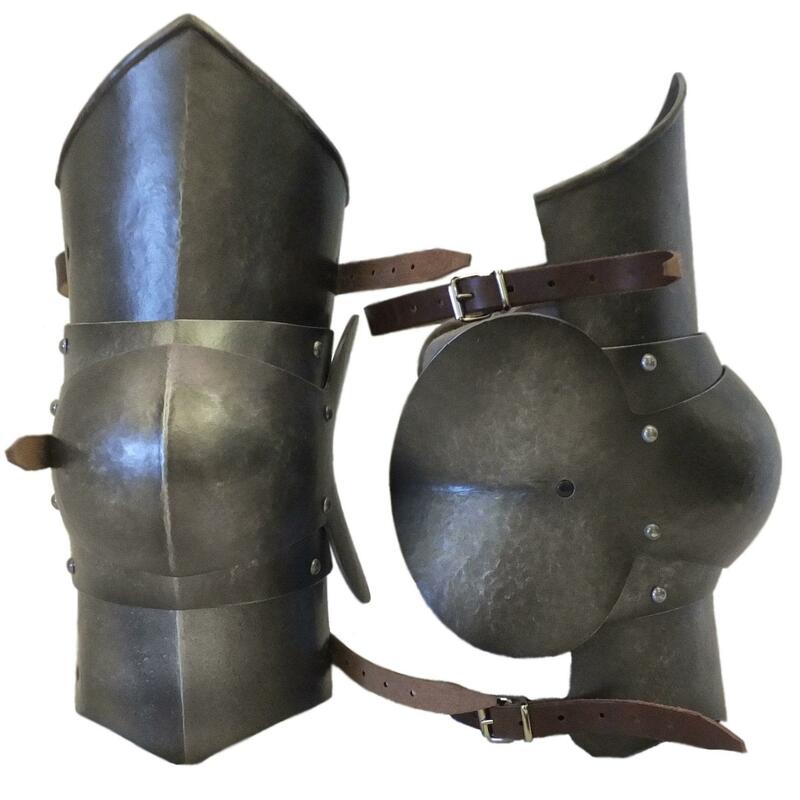 Articulated poleyn set (Knee armour). Sold as a pair. 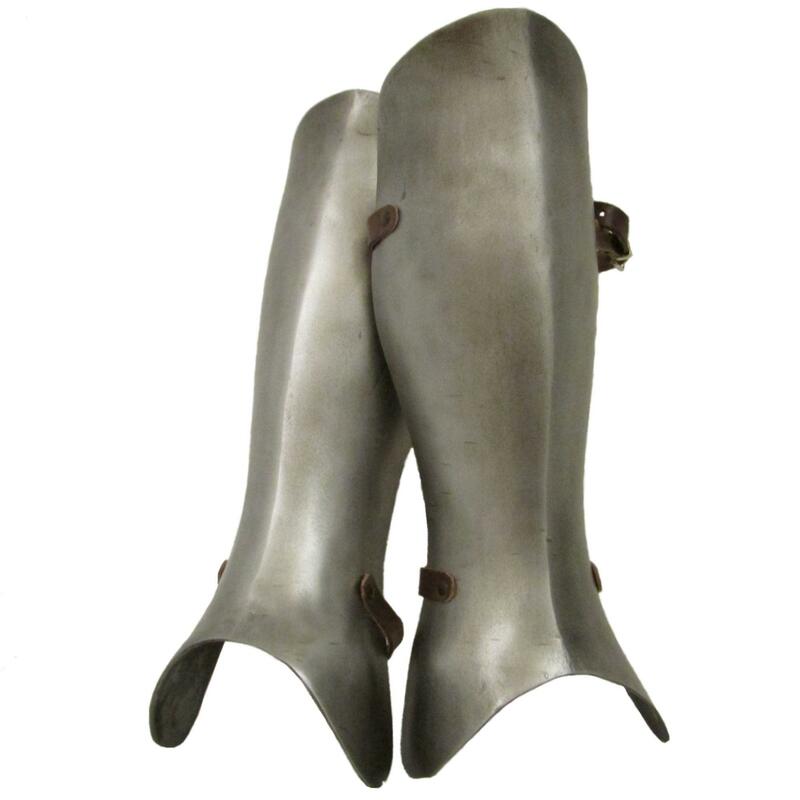 These fit very well with our plain and standard greaves (see below). 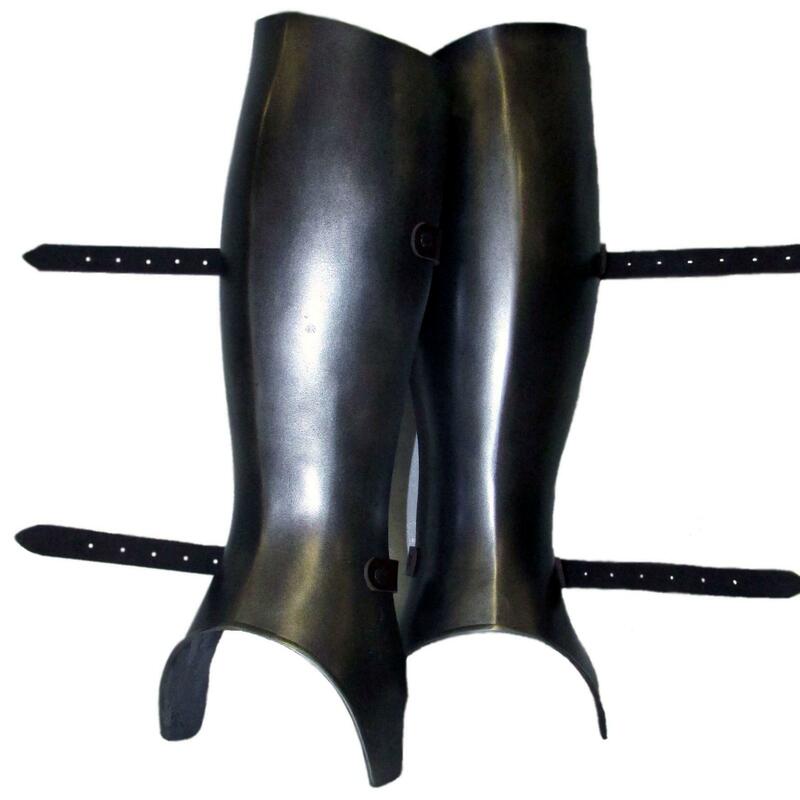 Complete with leather straps for upper leg, lower leg and behind the knee (non-leather option available). Moulded from an original provided by Matthew Bayley of Matt Black Armour.